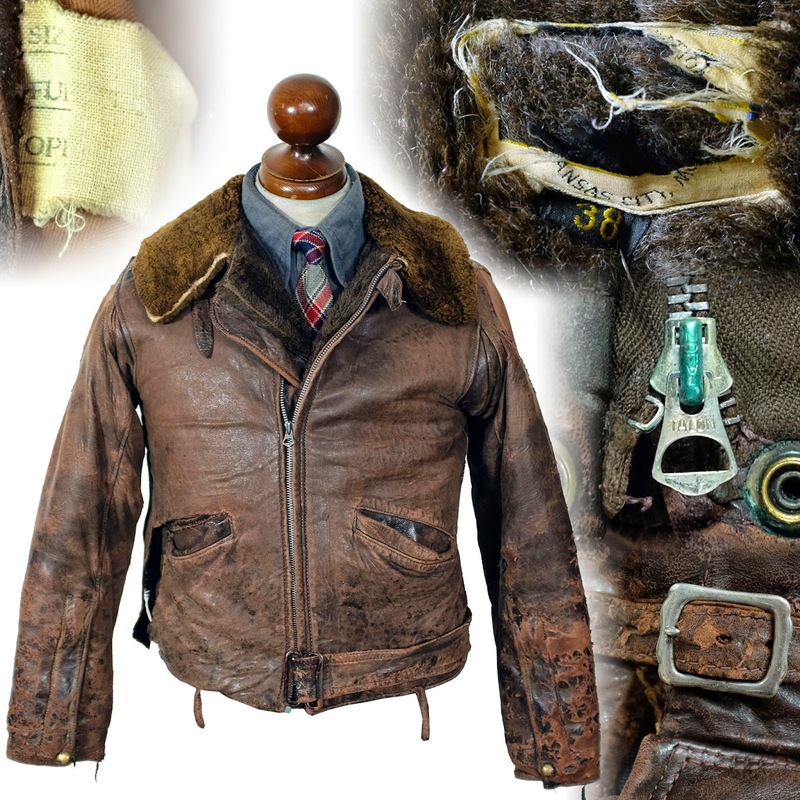 Although the basic style (leather waistband, waist length cut, leather collar) had been around for several years at this point, around 1930-1931, advertisements were run "introducing" the name "Cossack jacket" to go with this style. 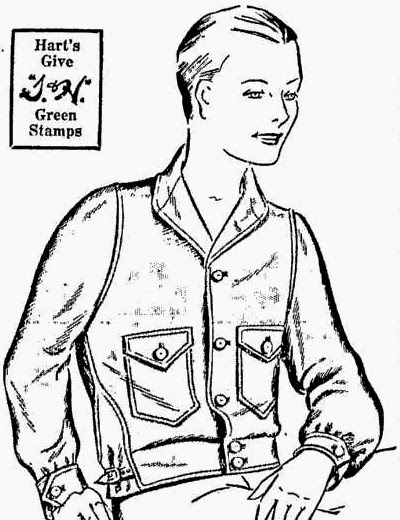 The precise definition of the name would get muddier as the 1930s progressed, with manufacturers using it to describe a number of different waist length styles. 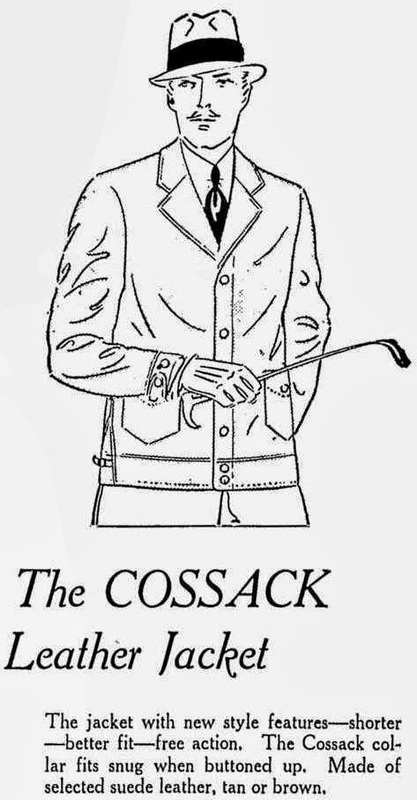 This early ad describes the "cossack collar". Traditionally, the term "Cossack Collar" describes a military style stand collar. When flipped up, this suit-style collar would give that look, and is likely the origin of the term for this style of jacket. Just a few years later, still in the early 1930s, jackets advertised under the term "cossack" started featuring shirt style collars, mouton collars, fancy backs, lost the waistband and the term became more of a catch-all for waist length jackets.